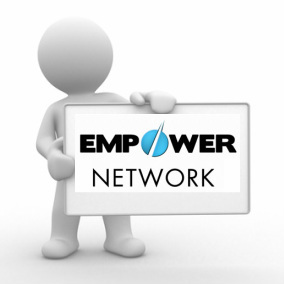 It is important that you understand exactly how the Pass Up system works in Empower Network. Probably more important to understand is how Roll Up’s work and how that affects you and your income. Pass up’s are a good thing. Roll up’s are bad for you… great for your sponsor or other people above you. Here it is, in a nutshell. You pass up your 2nd, 4th and 6th sales and then every 5th sale after that. So the 11th, 16th, 21st and so on. The ones you keep have to pass up the same numbered sales to you. Then those people passed up to you also pass the same numbered sales up to you. This applies to the sale, not the referral, and for each price level. The ones you pass up are still your referrals. Here’s an example that assumes you are an Inner Circle member. Let’s say you sponsor 3 people. The 2nd and 3rd upgrade to the IC membership but the first one stays at the $25 level. That first referral gives you a $25 monthly commission. That is your first $25 sale. Then your 2nd referral joins and that becomes your 2nd $25 sale so it is passed up. Then that person upgrades to IC and that becomes your first $100 sale so you keep it. Now your 3rd referral comes in. That’s your 3rd $25 sale so you keep it. Then he upgrades to IC and that’s your 2nd $100 sale so you pass it up. Once you get your 6th sale at any price level you keep 4 out of 5 and pass up only 1. In your back office, click on My Business, then on View Downline. Select Empower Network Basic Membership (Active Members) in the Program box if it’s not already selected by default. Look on that page and you will see your Direct Referrals and Passups. Once you have some people passing up sales to you it will add a new section at the bottom called Level 1 Powerline Sales. On that page you can always see which ones you kept and which ones you passed up. In the leftmost column is the numbered sale so you would see 2, 4, 6, 11 and so on. Now let’s put this in perspective so you understand just how powerful this Pass Up system can be for you. First, I want to ask you to be prepared to pass up several hundred dollars a month in commissions to your sponsor. That’s a frustrating feeling. I know. I passed up a lot to my sponsor my first day. What you have to remember is that it will all come back to you in much greater volume. Let’s say in your first 2 weeks you get 10 sales. Out of those first 10 you pass up your 2nd, 4th and 6th, leaving you with 7 that you keep. Now a few days later all 7 of those people get their first and second sale. They keep the first one, which breaks them even. All 7 of them pass up their 2nd sale to you. That puts 14 on your front line. Or more if you had more sales yourself during that time. Now 7 of those people are going to pass up their 4th sale to you and 7 are going to pass up their 2nd sale to you, pretty soon. That puts 28 on your front line if you still haven’t sponsored anyone else yourself. A Roll up occurs when someone below you purchases a product that you have not purchased yet. For example, let’s say you are a Basic member paying only $25 a month. Your first referral comes in and you get a $25 commission. Then they upgrade to the Inner Circle membership. You haven’t purchased that yet so the $100 commission rolls up to the first person above you who is an Inner Circle member. That sale is lost forever. It also does not count toward your pass up’s should you decide to upgrade to IC after you lose that sale. That actually happened to me with the $500 product. If you can afford it you should buy it. If you can’t afford it that’s different. I could have bought it but thought I could make $500 pretty quick and then use my earnings to pay for it. That was stupid because I already knew how this system was converting. 20% of the upgraded members buy that $500 product. My 4th or 5th referral bought it and the next thing I knew I was getting an email saying I lost a commission, in all capital letters! What a sick feeling that was. That’s a lot of money. So what did I do? I immediately bought that product. Now I’m thinking I’m out $1000 because I lost a $500 sale and then spent $500. But 4 hours later I had another $500 sale and I got to keep it.